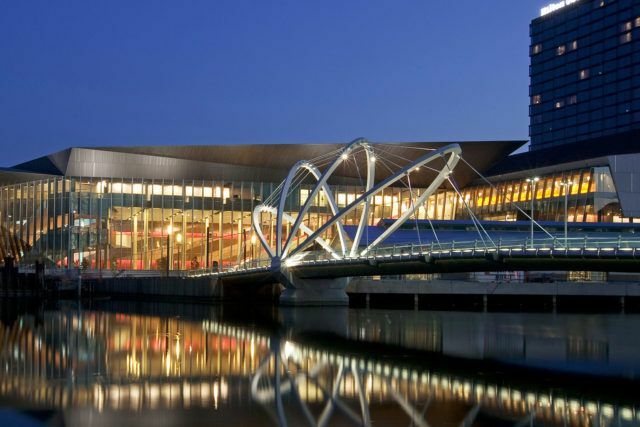 Melbourne Convention and Exhibition Centre (MCEC) will again play host to and be an exhibitor at Asia Pacific Incentives and Meetings Event (AIME). This flagship event brings destinations and their offerings together with the movers and shakers in the meetings and incentives industry. There will be a new direction for AIME in 2019, with Talk2 Media & Events delivering a fresh vision for the event. MCEC Chief Executive, Peter King said this will be the first time many attendees see the full scope of the venue’s $200 million expansion that opened in July last year. Mr. King said that at AIME this year they really want buyers to see how such a big place can hold so many little surprises. MCEC’s spaces will be completely fitted out so that AIME attendees can see the breadth of offerings. Not only have they added 9,000 square meters of flexible space, a multipurpose theatre with 1,000 seats and a gala banquet room, but we’ve also been able to utilize innovative technology to broaden the variety and scope of our food experiences, he concluded. MCEC will be showcased at Melbourne stand B13, with some notable activations. A new creation hot from the MCEC kitchen is our chocolate dessert smashes. Chefs will be on-hand smashing pieces of delectable sweet treats featuring flavor combinations such as Funky Monkey with caramelized milk chocolate, salted peanuts and banana and a new take on the Aussie classic – berry and lemon pavlova. A Four Pillars gin bar will keep fluids up featuring some of the Yarra Valley distiller’s finest drops including spiced negroni and bloody shiraz gins. New menus for 2019 that focus on bold flavors, native ingredients, and provenances, such as the 100-mile menu which sources produce from local farms and markets, will be on show at AIME. A must-visit for attendees will be the expansion’s new Goldfields Café and Bar for coffee, lunch, share plates and Victorian wines. It is really exciting for us to be able to showcase all that we have to offer to the people who make the decisions when it comes to conference and events planning, said Mr. King. MCEC may have grown a little since your last visit, our new expansion spaces will be set up in unique and creative ways to showcase their full potential.